Ski Tracks is the world’s most downloaded Ski and Snowboard application and is available on both iOS and Android. This mobile GPS skiing app allows you to track your routes, runs and elevation all day whilst you’re shredding the fresh powder up in the mountains. Also compatible with smart watches and linking to your social platforms, you can compare with your friends and share results across social media too. With all your crucial ski stats such as altitude, duration, runs, max speed and distance in one place, this skiing app also holds up to 14 hours battery life so why would you ski without it? 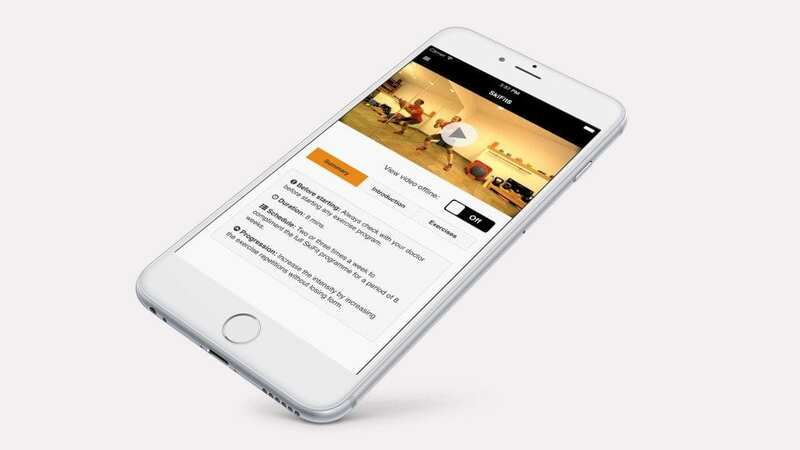 You’ve already learned all about how to ski tune before your holiday to ensure you’re adequately prepared, but this top skiing app offers a bitesize workout to help get fit before your winter holiday. Unlike other ski fit apps, this one is led by trained physiotherapist and clinical expert Neil Maclean-Martin and is can be done anywhere, helping you get fit for the slopes more easily without need for equipment. The SkiFit programme provides 4 guided one-hour workouts, made up from over 100 individual ski specific exercises on this top skiing app. The ‘anti ski app’ built exclusively for Android, Offgrid is an app for the adventurer who is tech-savvy but wants to take a break from their device every now and then. 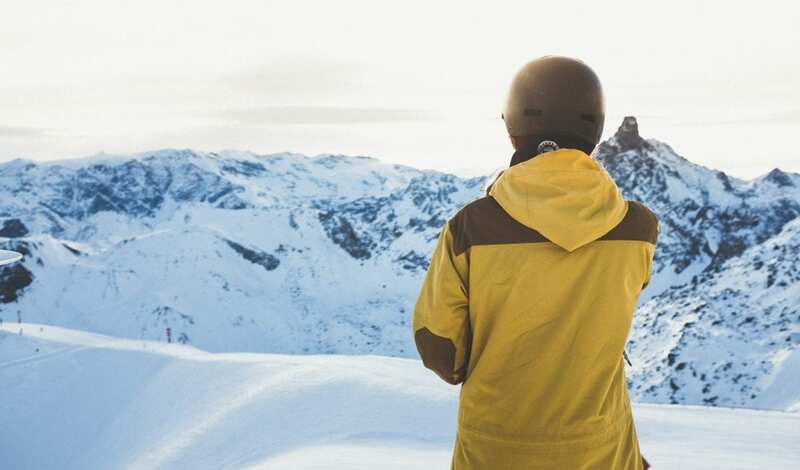 Not just an app for skiers, with a push of a button this app will block all the messages and notifications coming in to your phone, leaving you to enjoy your soulventure in peace with no digital master dictating your day. This ski app also offers a report detailing what you’ve missed while you were skiing, meaning you can catch up once you’ve enjoyed your day to the full with no digital distraction. If you’re going to have any skiing apps at all, get this one. The Ski and Snow Report app delivers daily snow reports and up-to-date snow conditions from the slopes of more than 2000 areas around the world. With this handy ski app you can view and upload first-hand reports and photos, and check out the webcams and snow forecast for ski resorts you’re planning to visit. You can even set a powder alert so that you receive a notification when your favourite resorts (which is of course Meribel!) gets that welcoming flurry of new snow. Free for both users, this app is a great one-stop shop for all you need to know about the weather and conditions here in resort. Ullr Labs’ says that this ski app “combines iPhone technology with established snow science to improve winter backcountry travel decisions, make it easy to share observations and adventures, and provide ongoing resources to increase avalanche knowledge and awareness”. And we can’t argue with that! Mountain life can be treacherous if you’re not savvy and so this top skiing app will help you to stay safe and informed when traversing the mountainscape. With this app you can download the most recent avalanche forecasts for your chosen ski area, review conditions recently uploaded live by other users and easily collect important information about snow, weather and terrain. Knowing where dangers lurk is vital – get this app so you’re in-the-know and not under-the-snow. And finally, let off some steam when you’re resting those weary limbs at the end of an action-packed day with this simple but highly addictive mobile game. It is the skiing equivalent of retro game Snake with basic graphics and undemanding gameplay and will entertain you for hours on whiteout day. TIME magazine rates it as ‘One of the most calming iOS games ever developed”, and we have to say that we whole-heartedly agree!